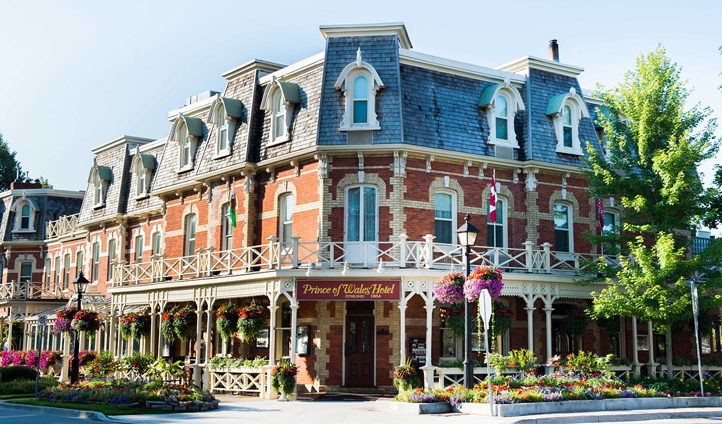 Lying right in the heart of Niagara-on-the-lake is the majestic Prince of Wales Hotel. Inspired by the Victorian era and determined to provide guests with service fit for royalty, this hotel not only boasts exceptional service and rooms but also top-quality restaurants, tearooms and spas. Expect to be enveloped and pampered in a rich, plush and totally unique atmosphere. Stay at the Prince of Wales Hotel and find yourself at the heart of historic Niagara-on-the-lake, or in local speak ‘NOTL’. Right in the middle of wine country, you’ll be spoilt for choice as you wander through the different wineries, sampling the local flavour, Icewine. Approximately a one-hour drive from Buffalo Niagara International Airport, this hotel is the perfect choice for an indulgent getaway in Ontario. Each room is designed and decorated with a Victorian aesthetic in mind. Expect to find rich tapestries, four poster beds and antiques throughout the rooms, making your stay an entirely lavish one. Although each room is perfectly styled, it’s the little details that really make it stand out – the elegant rose left on the bed after the nightly turndown service is a perfect example. For an added indulgence, book into the royal suite and enjoy a roaring fireplace and jetted tub, as well as your very own private balcony with beautiful views out over the picturesque town. 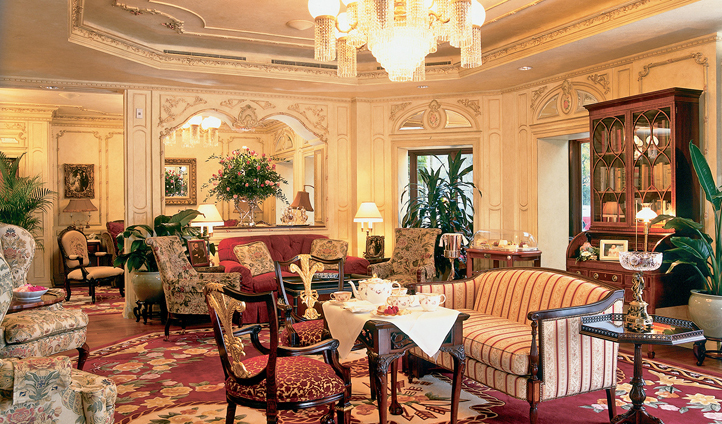 Although the décor throughout the entire hotel is magnificent to say the least, we couldn’t overlook the beautiful Victorian drawing room where you can indulge in a lavish high tea in a distinctively opulent setting; making your stay at this hotel a holiday in itself.